Halo Engagement Ring in Rose Gold with Pave Setting | Shane Co. This shimmering halo engagement ring features 40 round pavé-set diamonds, at approximately .65 carat total weight, that have been hand-selected and matched for exceptional sparkle. 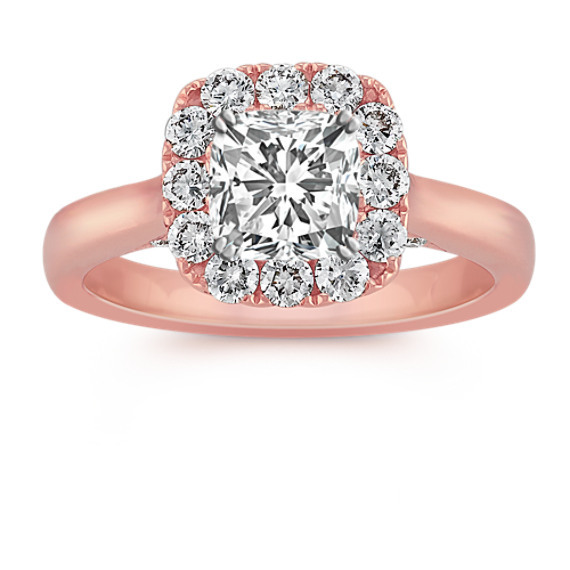 Set in superior quality 14 karat rose gold, this ring awaits the center diamond of your choice at approximately 1.00 carat. Gemstone Carat Weight :.65 ct. t.w.